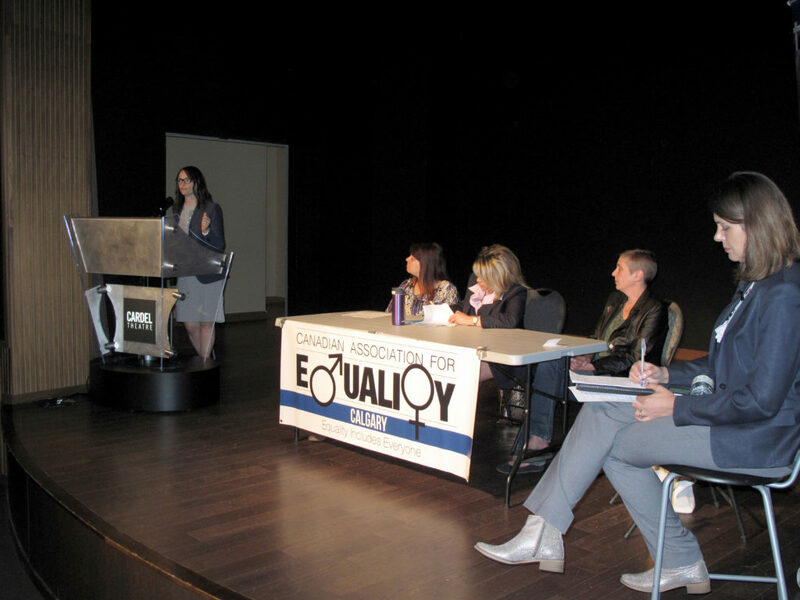 This past Saturday, June 24, Mara Grunau sat on a panel for the Canadian Association for Equality (CAFE) He for She event. We advocate for all groups at risk of suicide, and men die by suicide three times more often than women. Mara Grunau with panelists Monique Dietvorst, Karen Straughan, Jennifer Raymond, Donna Gee, moderator Danielle Smith, and Associate Branch Director of CAFE Calgary Don Zest. Mara Grunau speaking at She for He, an event hosted by the Canadian Association for Equality.